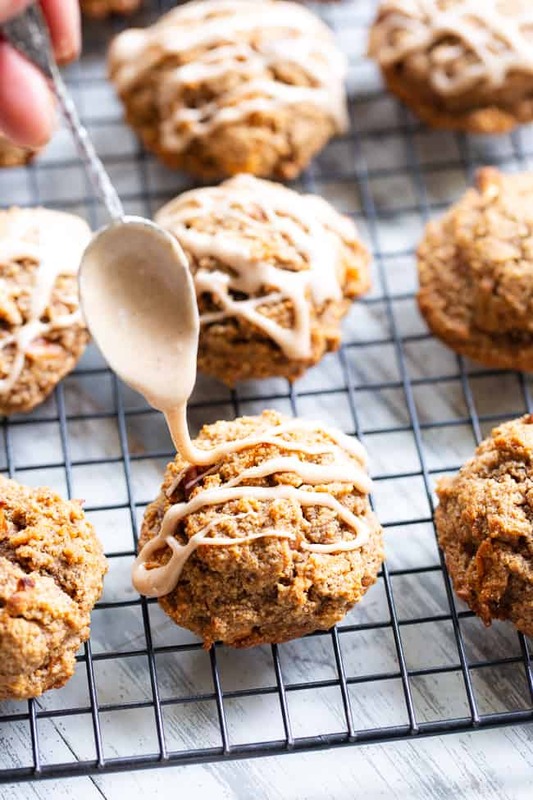 My paleo + vegan cookie recipes are now the family favorite! It all started with my “oatmeal” raisin cookies, and, since then I’ve been on a vegan cookie kick. It’s been over a year since that first batch, and since then I’ve played around with the basic recipe quite a bit. 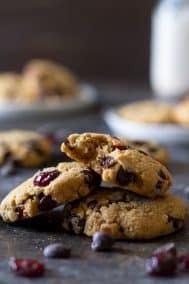 Batches of cranberry orange chocolate chip cookies, THE BEST chocolate chip cookies, ever, double chocolate chip cookies, and even snickerdoodles. Basically, whenever I get a craving for cookies, a new version has to happen. 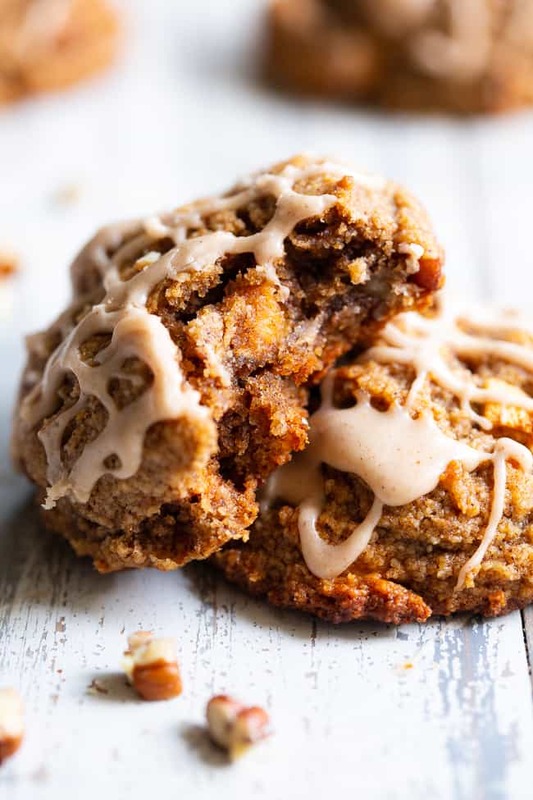 This fall – we’re baking soft, chewy and sweet cinnamon apple pecan cookies! 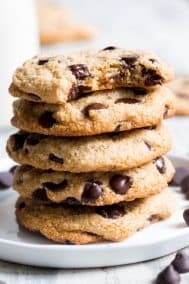 First – since I added applesauce to these cookies, they’re definitely a bit different than my prior vegan cookie recipes. I wanted them to be as apple-y as possible and was set on adding applesauce. 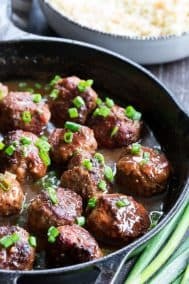 I also just had to add chewy dried apples to these as a mix in! 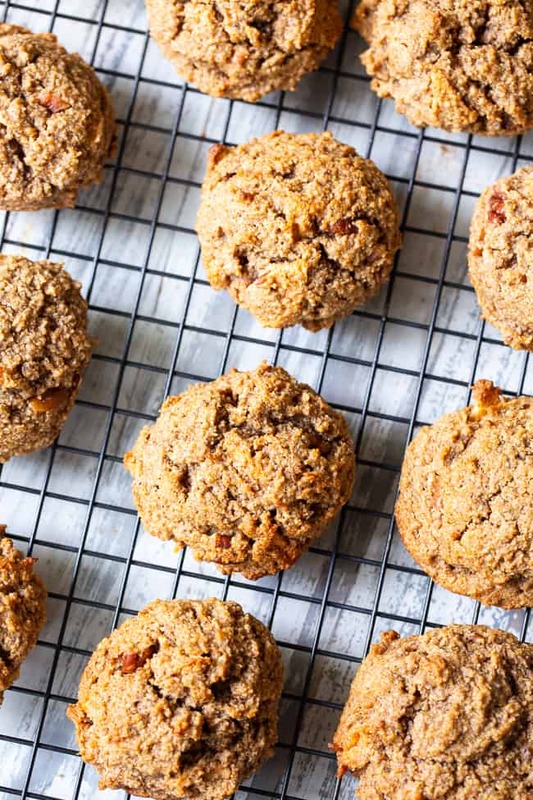 My kids go wild over dried apples, so, I chopped up a bunch, nice and small, and baked them right into the cookies. They add texture AND sweetness – two things a good cookie needs, of course. In truth, the you barely need to process maple sugar (link to my favorite here) to achieve the fine texture to make icing. I mix 1 cup of maple sugar with 1 Tbsp tapioca flour and process until a really fine powder develops. Typically I only use about 1/2 cup for a small batch of icing, but I love having extra around. 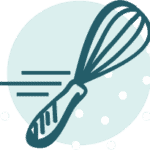 If you’re okay with cane sugar, you can always just use organic powdered sugar, which is typically corn-free. The white sugar produces a lighter colored icing while the maple sugar creates a caramel-looking icing. Flavor wise, they’re both yummy. 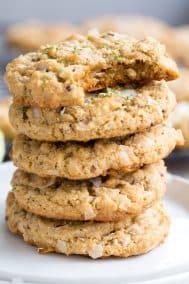 The applesauce in these cookies makes them softer and chewier than many of my other cookies. 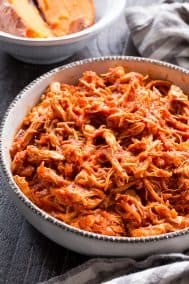 You can store them in the refrigerator to firm them up a bit if they start to get too soft, and place them at room temp for a bit before serving. My little guy (who’s by far the pickiest eater of my 3 kids) LOVED these and had no idea I mixed pecans in! Apparently he loves pecans and just doesn’t know it! 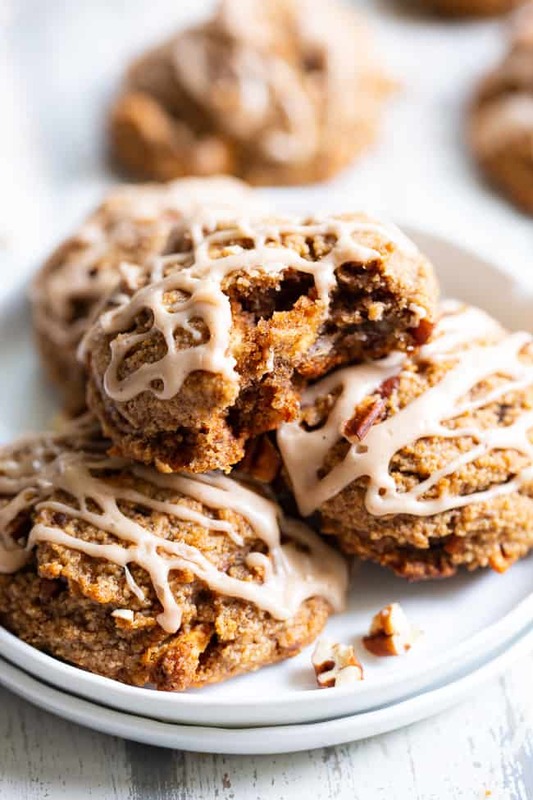 But, seriously, these cookies were very well received by the whole family and will be perfect to serve at just about any gathering this fall. They’re also perfect to bake for no reason at all and then (oops) forget to share. I completely support forgetting to share! I think we’re ready to get started – grab an apron and be prepared to make a happy mess of your kitchen! Let’s bake! 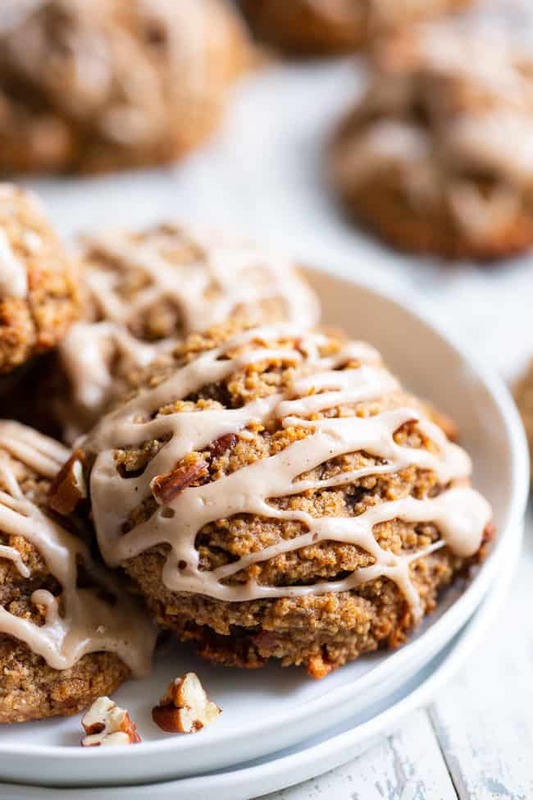 These soft and chewy cinnamon apple pecan cookies have it all! 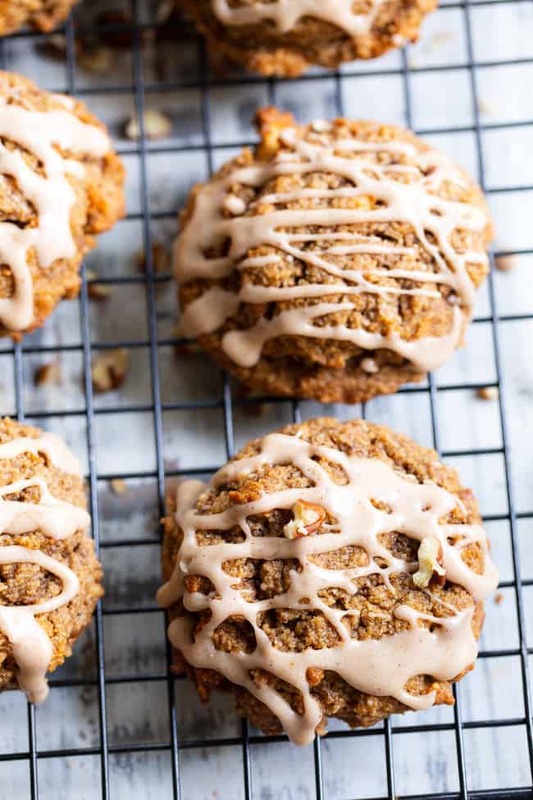 Gluten-free, paleo, and vegan cookies packed with warm spices, chewy dried apples and chopped pecans in every bite! They're kid approved, fun to make and make an incredibly tasty fall dessert! Prepare the flax egg as described in the ingredients section before beginning. Preheat your oven to 350 degrees F.
Whisk together the almond and tapioca flours, baking soda, salt, apple pie spice and cinnamon, set aside. In a separate bowl with an electric mixer, cream together the almond butter and coconut oil until smooth, then add the applesauce, maple syrup, coconut sugar and vanilla. Continue to mix until very smooth. Add in the flax egg and beat on low until fully combined. Slowly mix in the flour mixture (with a spoon) until a sticky cookie dough forms, then fold in the pecans and dried apples. Chill the mixture for about 5-10 minutes. Using a cookie scoop, scoop the mixture by Tbsp onto a cookie sheet, about 2 inches apart. Gently flatten each one just a bit. Bake in the preheated oven for about 12-14 minutes or until cookies are set in the center and golden brown. They will be very soft but don’t over-bake to maintain a chewy texture. For the icing, whisk all ingredients together and drizzle over completely cooled cookies. Allow icing to harden for about 15 more minutes. Makes 16 cookies. Enjoy! 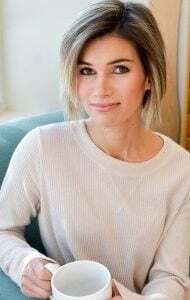 * To make your own paleo powdered sugar, combined 1 cup maple sugar (or coconut sugar) and 1 Tbsp tapioca flour in a food processor or high speed blender and blend until a powdery consistency is reached. Use just the amount of the resulting mixture specified in the recipe (1/2 cup) and save the rest for another use. 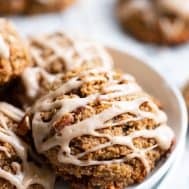 Can you substitute Arrowroot, instead of Tapioca flour, for the maple syrup icing as well? This recipe sounds so good! TFS! Yes that should work out well! Yes that will work out well! 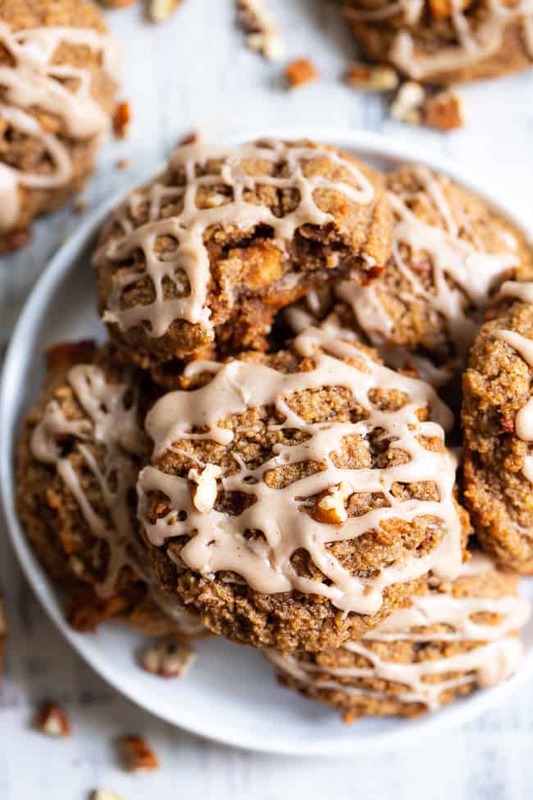 These cookies look so delicious and perfect for Fall! 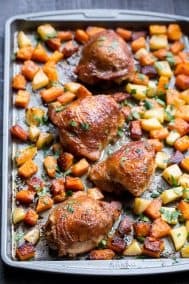 This looks delicious as all your recipes do! I recently had to stop eating almonds. 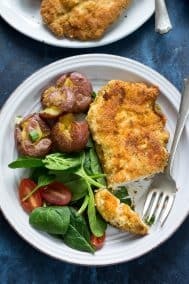 Do you have nut-free versions of your recipes? No, but I do have many nut-free recipes that you can browse OR search by keyword. Do you think we could substitute fresh apples instead of dried? Can you use an egg in place of the flax egg? That should work out fine! Love these. I substituted raisins for dried apples. I love this recipe. It is amazing and healthy. I must try this. Thanks for sharing. Just made these, they are delicious. I didn’t do the glaze but it wound doubt make them even more awesome. They will be a great breakfast cookie. These are fantastic! I am going to try to freeze a few then warm them up and see how they do. 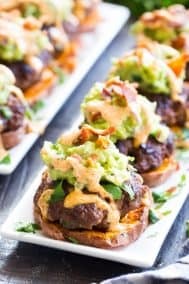 You are by far my FAVORITE paleo site -I just love your recipes!! Thank you! 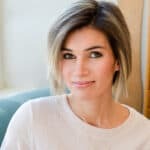 Can I replace the flax egg with a real egg? Thank you! !